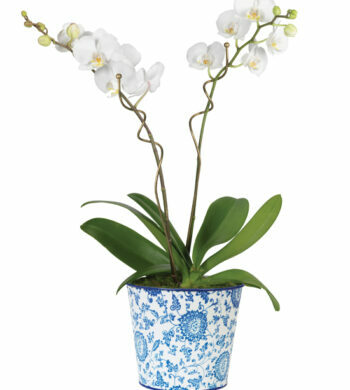 Deck your desk, tabletop or mantle with lush greenery of the Pacific Northwest. 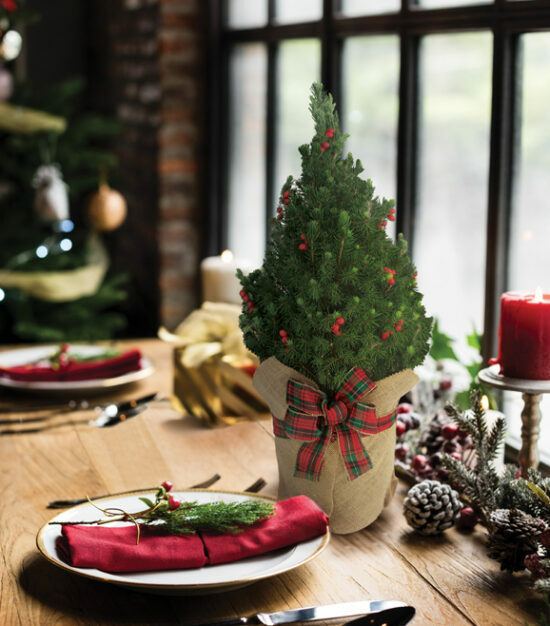 Our Alberta Spruce mini tree with its fresh fragrance is perfect for raising holiday spirits and decorating small spaces. 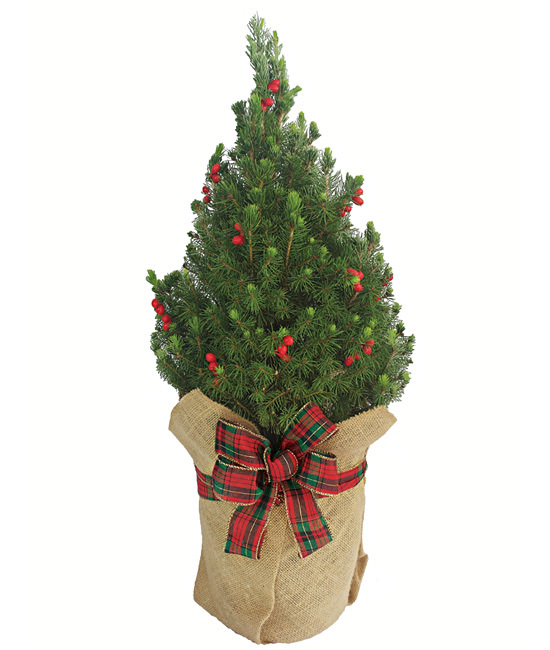 A one gallon tree with faux red berries, wrapped in natural burlap cover with a plaid bow is sure to please. To remove, simply snip wires from the back of the box and lift the item gently. Our fresh designs are originally produced with extra elements so slight shedding is normal. To keep your tree fresh for the longest possible time, water weekly and mist occasionally with water. The designs are best maintained when displayed indoors, away from direct sunlight, strong heat sources and extreme moisture.